Bytemark in York has acquired Swordfish Hosting for an undisclosed sum. The deal was completed this week and includes the Derby firm’s data centre assets and its entire customer base. “We’re delighted to welcome Swordfish’s customers to Bytemark. This acquisition is an important part of our plans for growth, building on the success of our own data centre in York,” explained Matthew Bloch, co-founder and managing director of Bytemark. It marks the first acquisition for Bytemark, which already manages 2 data centres, one in York and a back-up facility in Manchester. “We’ve spent over seven years building a successful hosting company that cares about the service to our customers. To maintain that level of service and grow, we needed to find another technically-led company to move things forward. In Bytemark, we’ve found a company - and a team - who can do just that,” said Stuart Harper, co-founder of Swordfish Hosting. 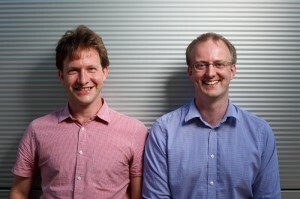 Swordfish was founded in 2007 by Harper and Richard Marriott who will be helping with the transition.